With the population of the critically endangered black rhino only around 5,000, why did the U. S. Fish & Wildlife Service (US FWS) recently issue sport-hunting permits to kill two black rhinos in Namibia? The permits, which cost hundreds of thousands of dollars each, will allow two wealthy American sport hunters to import their black rhino trophies into the country after killing the critically endangered animals in Namibia. Magnificent and beastly ugly all at once, the black rhino is a powerful and charismatic enigma. Will the powdered horn of the rhino make a man more strong, healthy, and virile? Ancient Asian medical tradition supports this claim and subsequently drives the highly profitable trade in illegal rhino horns. In the Middle East, dagger handles from rhino horns are also highly prized status symbols, adding to the demand which entices illegal animal poaching. 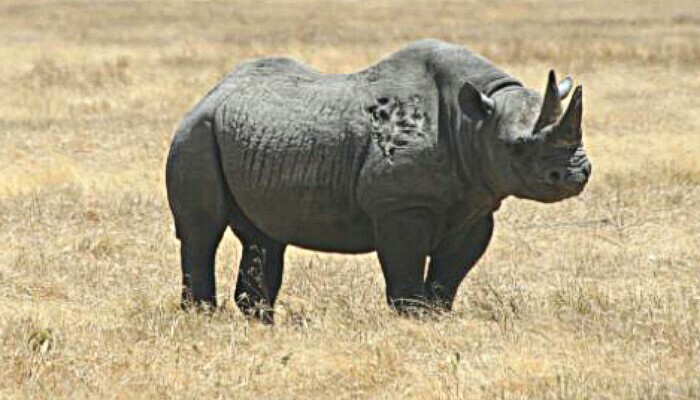 There are five surviving species of rhino still living in the wild today. All are listed in the IUCN Red List, ranging from Vulnerable to Critically Endangered, and all are listed as endangered under the Endangered Species Act. 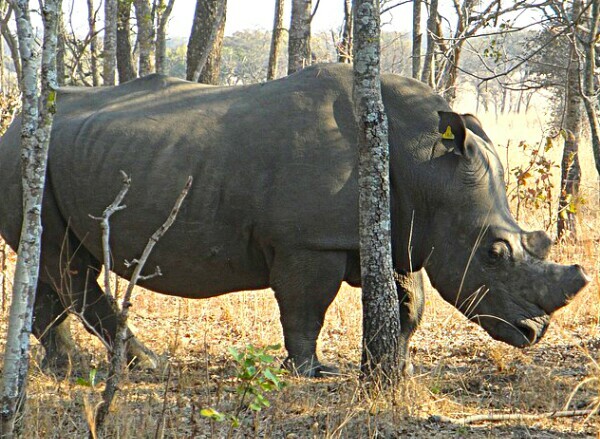 CITES, the Convention on International Trade in Endangered Species of Wild Fauna and Flora, of which the United States is a member, also guarantees protection of all rhinos. Does the Good of the Many Override the Killing of Two? According to the US FWS, the black rhino hunts recently permitted will generate a combined total of $550,000 for wildlife conservation, anti-poaching efforts, and community development programs in Namibia. The Service also points out that Namibia is a country with a steadily increasing population of rhinos. IFAW is an organization founded in 1969 for the protection of animals facing crises from all around the globe. Advocating for wildlife and habitat protection, IFAW has ongoing projects in over 40 countries, working to rescue and prevent cruelty to animals. Rhino in Zimbabwe, from pixabay. With an established record supporting its methods, the US FWS points out that North American trophy game hunting has led to the restoration of the white-tailed deer, elk, moose, and a number of other species. Recognized by the International Union for the Conservation of Nature, as well as other international wildlife management and conservation organizations, well-managed wildlife programs can be of significant long-term benefit. These programs include limited, sustainable sport hunting. Is the Black Rhino Program Working in Namibia? Between 2001 and 2012, Namibia’s black rhino population has more than doubled. Concentrating on maximizing population growth rates, Namibia’s Black Rhinoceros Conservation Strategy has adopted biological management and range expansion strategies. The goal has been to increase Namibia’s black rhino population by a minimum of five percent each year. Namibia’s management plan allows the harvest of five males from the black rhino population each year. This decision has been supported by the member countries of CITES. As the top five males are presumed to be already genetically dominant in the black rhino population, their removal each year is believed to allow younger, less dominant males the chance to mate, potentially leading to a quicker population increase. From my own experience as a sheep and goat breeder, allowing new blood into the gene-pool is also an effective strategy for improving the health of an animal population, as it helps prevent repetitive in-breeding. Finally, as an integral part of Namibia’s successful conservation strategy, local communities receive direct economic benefits from the presence of the growing black rhino population, and thus help disincentivize poaching. 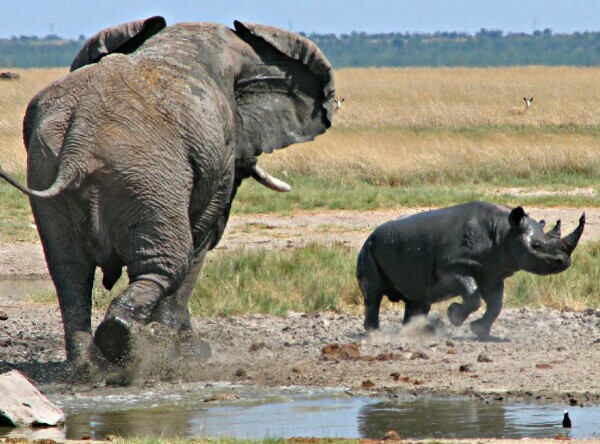 That half million in US Dollars received for only two sport-hunting permits will clearly result in an economic advantage to Namibia, as it goes to funding wildlife conservation programs, anti-poaching efforts, and community development programs. And, fortunately, poaching is beginning to decrease in many areas. Rhino poaching has dropped to zero over the last year in Chitwan, Nepal. In Assam, India, the population of rhinos has risen over the past decade. A 2014 Islamic fatwa issued in Indonesia specifically protects endangered wildlife, and an earlier fatwa specifically forbids the Muslim’s use of rhino horns for daggers. With continued pressure like these excellent efforts, a strong damper on the illegal trade of poached animal parts is being made. The populations of endangered animals, including the critically endangered black rhino, are now standing a greater chance to rebuild their numbers, especially under the careful management and watchful eyes of international conservation programs.